As your baby grows and becomes busier, it's important to make sure he's getting the rest he needs. Download our free JOHNSON’S® BEDTIME® baby sleep app, so your little one (and you!) can start sleeping better tonight. "I love this app. It makes baby bed time go quickly and smoothly. Plus the sleep analysis is very helpful." Log your little one’s daily sleep habits, including how long she sleeps and when she wakes. Share your baby’s sleep log with your pediatrician on your next visit! 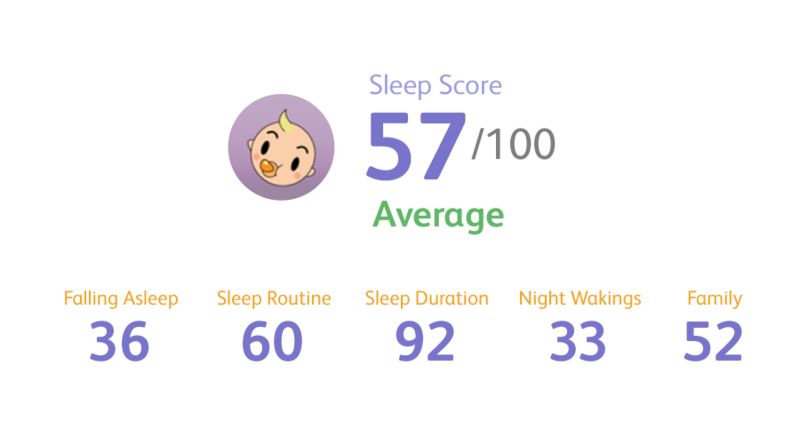 Answer questions based on 5 key factors to get your baby’s sleep analysis score. Your score comes with recommendations from our sleep experts. Take it again as your little one grows! Learn the JOHNSON’S® 2-Step Routine, clinically proven* to help your little one sleep better and longer. Watch Tilly’s dad get her ready for bed with short videos showing how to incorporate and customize JOHNSON’S® clinically proven 2-step routine. Help your baby sleep by adding our baby lullabies to a playlist or by creating your own mix of our ambient sounds. You can set a timer to automatically quiet your device, and there’s also a dimmer for nighttime viewing. Ready for the whole family to get more sleep? Download the free JOHNSON'S® BEDTIME® baby sleep app!